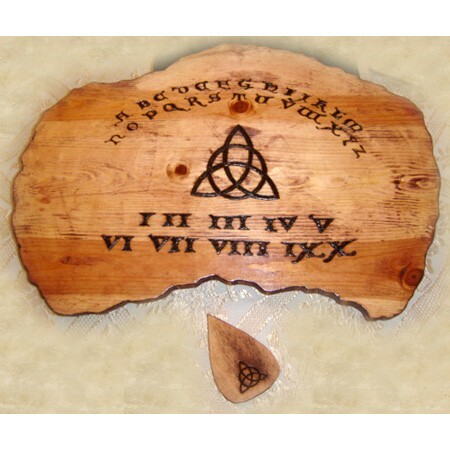 Featured in a "Charmed" CW TV series show - Charmed Book of Shadows became one of the icons of the modern witchcraft. 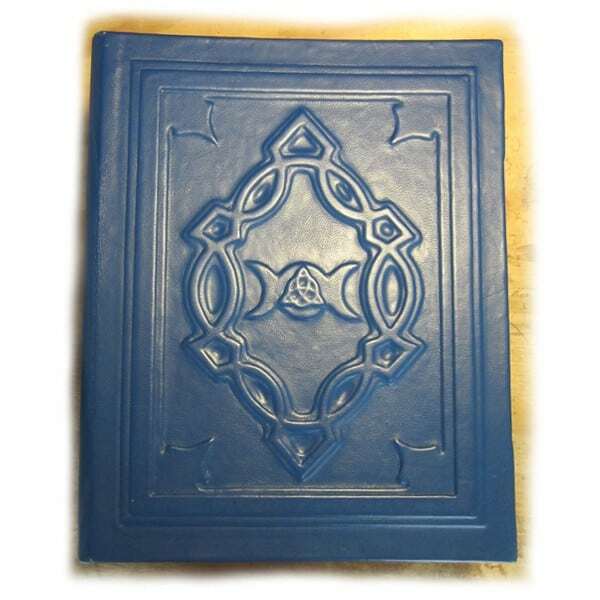 This Beautiful hand-crafted book, with ancient Triquetra symbol on its cover, Charmed Replica Book of Shadows makes a perfect keepsake and a great gift. It's also considered to be an excellent companion for a modern witchcraft practitioner. The ancient symbol on the cover represents a unity of three aspects: Body, Mind and the Spirit and captures the essence of life itself. Although in modern times and with the advance of TV and internet it became more popular, it still holds it's potency and meaning. Made from best archival grade, acid-free materials available. 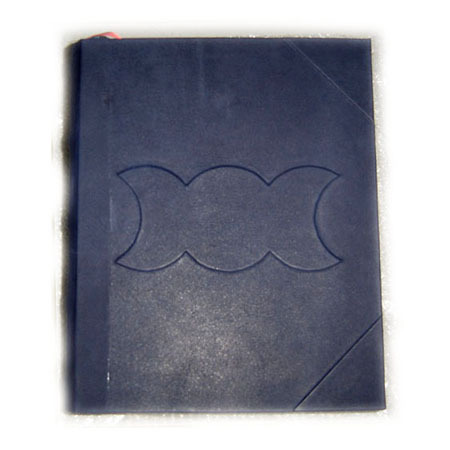 Charmed Book of Shadows will last for many generations to come. 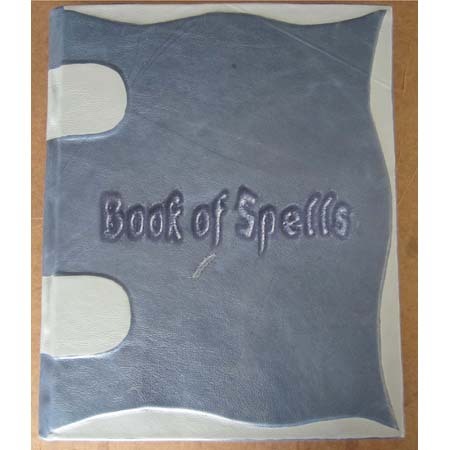 Click here for more Charmed Book of Shadows Cover Choices. 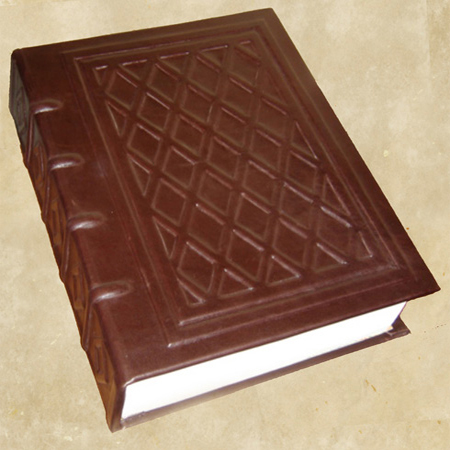 Full Charmed Replica Book of Shadows – complete version that has 989 pages including pages that were shown on the TV’s Book of Shadows (for ex. Awakening Spell) and pages that were never shown (ex. Guardian of the Urn). 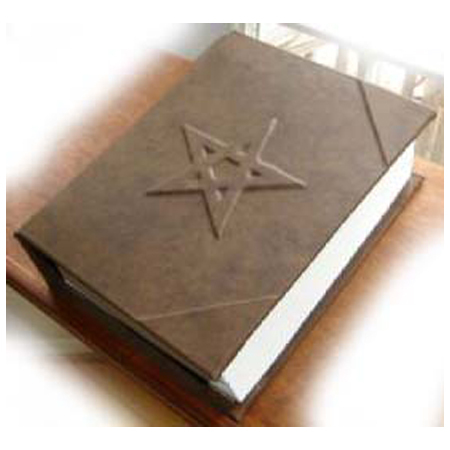 All pages featured in the TV’s Book of Shadows are exact copies from the originals (they are not fan-made, but actual photo-copies from the Original TV’s Book of Shadows). Pages that aren’t featured in the TV’s Book of Shadows are made by our artists, using information from the show, mythology, fairy-tales, and etc. These pages are all beautifully created in the same style as the rest of the Charmed Book of Shadows pages. 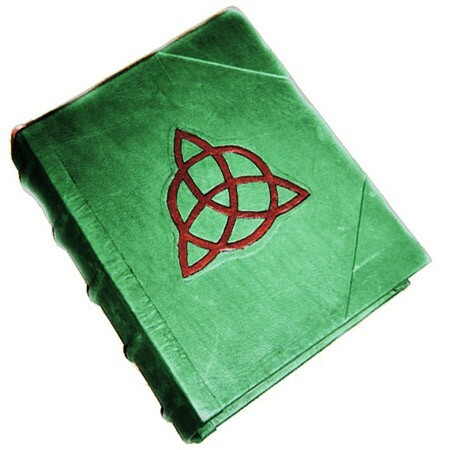 Our Charmed Book of Shadows has a beautiful cover in a deep shade of green. This Charmed Book Of Shadows is complete with demons, potions, spells, Charmed Sisters information, as well as the Halliwell family line. 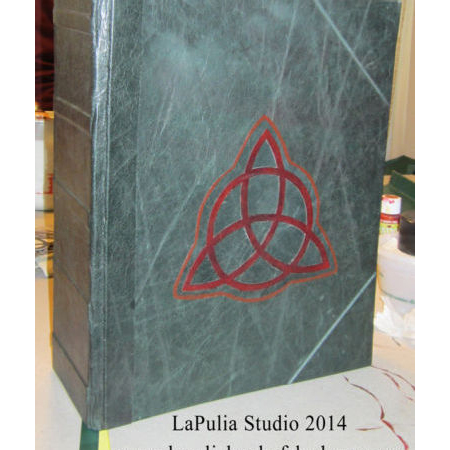 Made from our exclusive Italian leather collection and a raised double Charmed Triquetra on the cover. 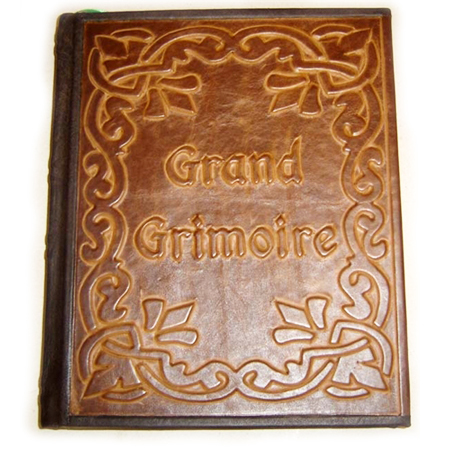 All pages are made with acid-free aged French parchment paper at a size of 11 x 14″” and printed on a top-quality commercial laser printer. 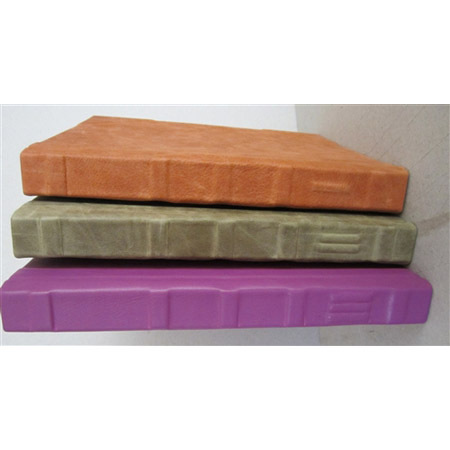 This Charmed Book is created for you at a size of 11.5” x 14.5” and is available in hard binding.